Introduce your family to the 2018 Jayco Precept 29V Gas Class A Motorhome! 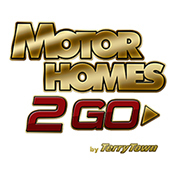 At Motorhomes 2 Go we specialize in selling Class A and Class C motorhomes. This single-minded focus has made us the #1 motorhome dealership in the nation - number 1 in sales, number 1 in service, and number 1 in customer satisfaction! We're located in the vibrant and growing city of Grand Rapids, Michigan, so stop in and see us today! We're conveniently located at 7303 Division Ave S Grand Rapids Michigan 49548 and we're ready to help you find your perfect motorhome at the lowest price in the nation! Even if you don't live in the Grand Rapids area, we can still make your dream come true with our nationwide, 24/7, fast delivery service anywhere in North America! Give us a call today at 616-301-6920! It's never been as easy or affordable to own your perfect motorhome! Do it today! One of the great features is the outdoor kitchen. Now, you can cook up all your favorite foods and still enjoy the sunshine and fresh air of the great outdoors!